Even the most dedicated caregivers need occasional time away from the responsibilities of tending to a terminally ill family member. Respite care offers loved ones the peace of mind of knowing that the patient will be properly taken care of so that they can take a break. 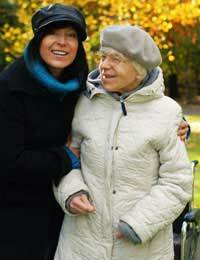 The aim of respite care is to provide time off for caregivers who are tending an ill or injured loved one. While care is most often provided at the patient’s home, it is sometimes arranged for those in care facilities, as well. For those who are able to get out and around but need companionship, adult day care programmes can provide daily or occasional respite for caregivers. The nature of the services requested varies, depending on the individual needs of patients. Some simply require housekeeping and companionship care, while others may need skilled nursing. Respite caregivers are available at all skill levels to provide families of even medically fragile patients some much deserved down time. It is important to note that respite care is prearranged, not emergency care, and is for temporary or substitute care, as opposed to ongoing help. Typically, families use respite care for a day here and there or for weekend or family vacation time. It’s best for caregivers to schedule short breaks for themselves, even when they feel a great need to be directly involved in caretaking. Other family members and close friends may be able to provide some relief at times, but arranging for regular, professional respite care is the surest way to avoid becoming overwhelmed. What types of training do you require for caregivers and how are your workers supervised? How are caregivers instructed to handle emergencies? Are caregivers given full background checks before placement? What is the cost of the service and are there limitations regarding hours? Sometimes, close family members feel such a responsibility to personally provide care for terminally ill loved ones that they fail to care for themselves. What they may fail to consider, however, is that in order to take care of others, they first must pay attention to their own health and well-being. Relying on occasional respite care can help caregivers to stay in top form, making them most capable to be able to meet the demands associated with caring for a terminally ill loved one.